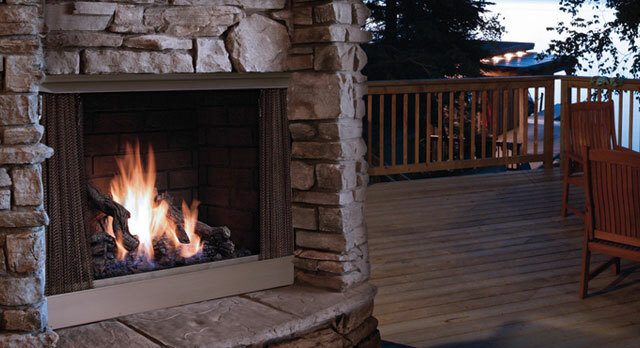 Add some warmth and beauty to your entertaining area with an outdoor gas fireplace. Homeowners in Burlington, Oakville, Grimsby, Dundas, Hamilton and Milton are discovering the beauty and appeal of an outdoor fireplace. Add the warmth of fire to your outdoor living spaces and you may decide that your deck or patio is now your favourite room of the house! 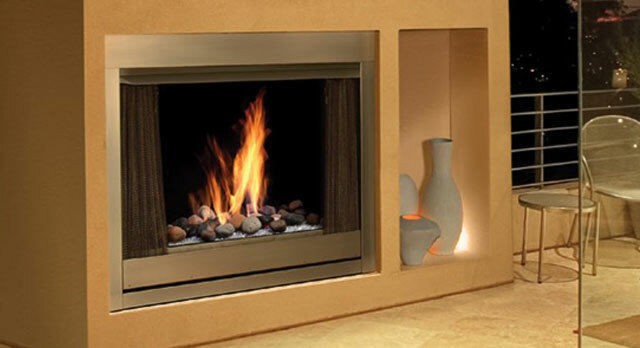 We sell and install Canadian owned and manufactured Kingsman Fireplaces designed specifically to withstand the elements and ideally suited for both a contemporary or classic look. 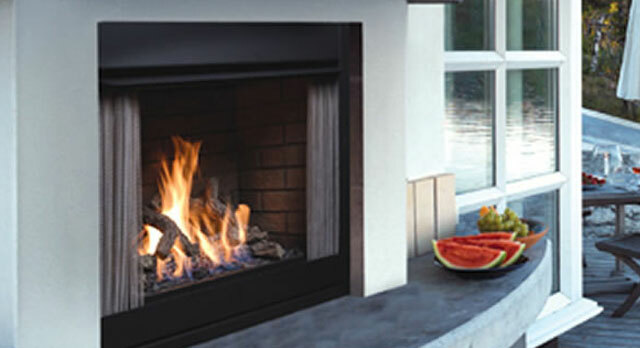 All fireplaces come with a limited lifetime warranty. Stainless steel provides a clean, contemporary and weather-resistant finish so that you can enjoy your fireplace for years to come. No venting or chimney required! Your choice of options including Weather Cover, Remote Control, Refractory Liner and more. 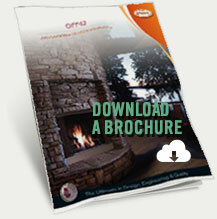 Contact us today to start enjoying an outdoor fireplace at your home.